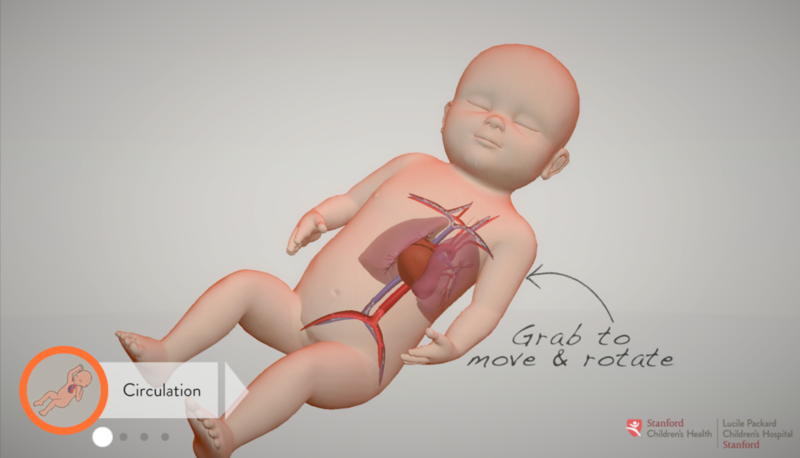 We collaborated closely with Lighthaus, Inc. to create a web app to demonstrate the process of unifocalization, a pediatric surgical procedure designed to correct a congenital heart disease that reduces the effectiveness of the circulatory system. The procedure was pioneered at the Lucile Packard Children's Hospital, and their staff was instrumental in providing clear direction for maintaining medical accuracy. We created a complex articulated heart model and blood flow simulation capable of morphing in real-time between normal and defected heart function. We then integrated this anatomical rig into an instructional application intended for patient education.